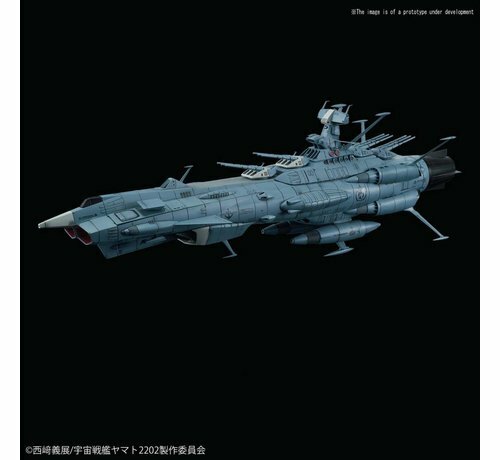 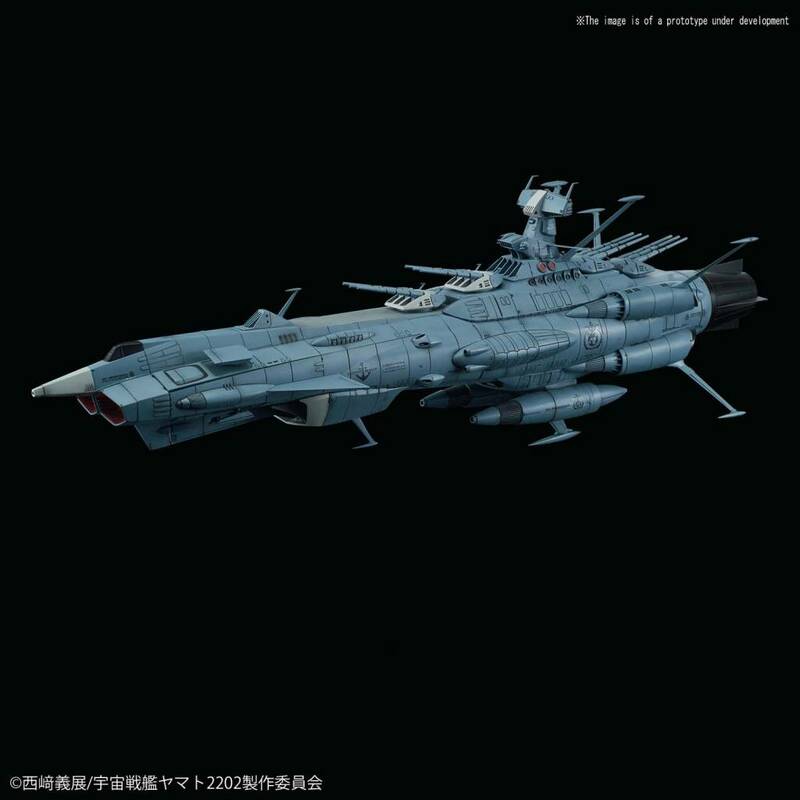 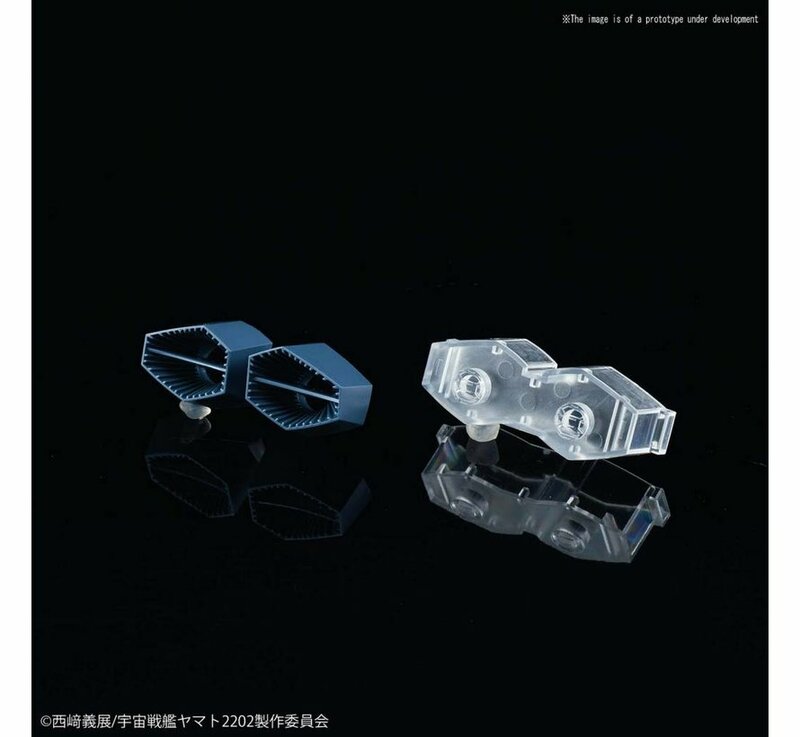 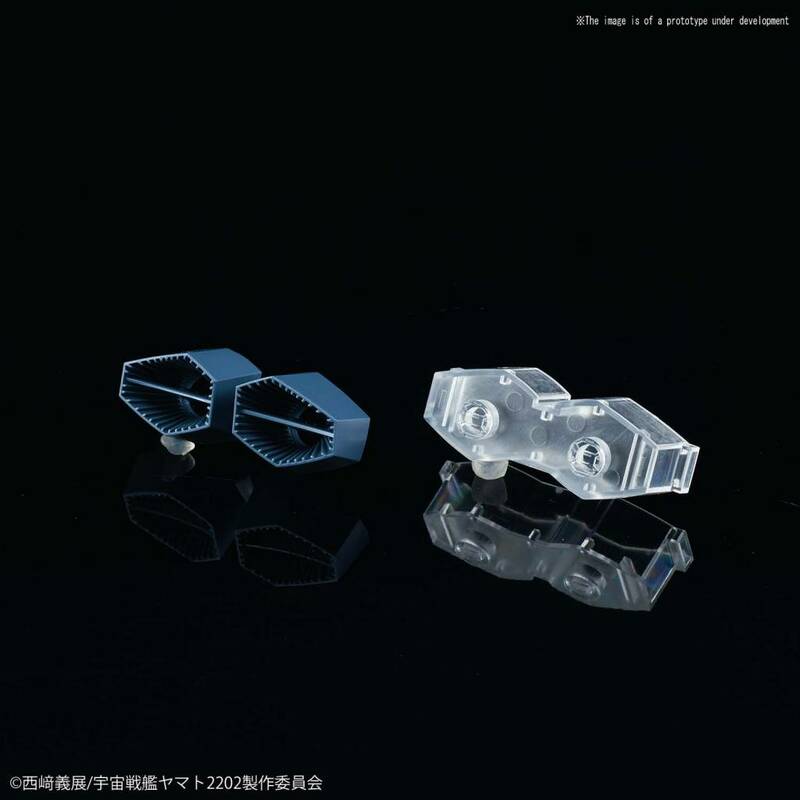 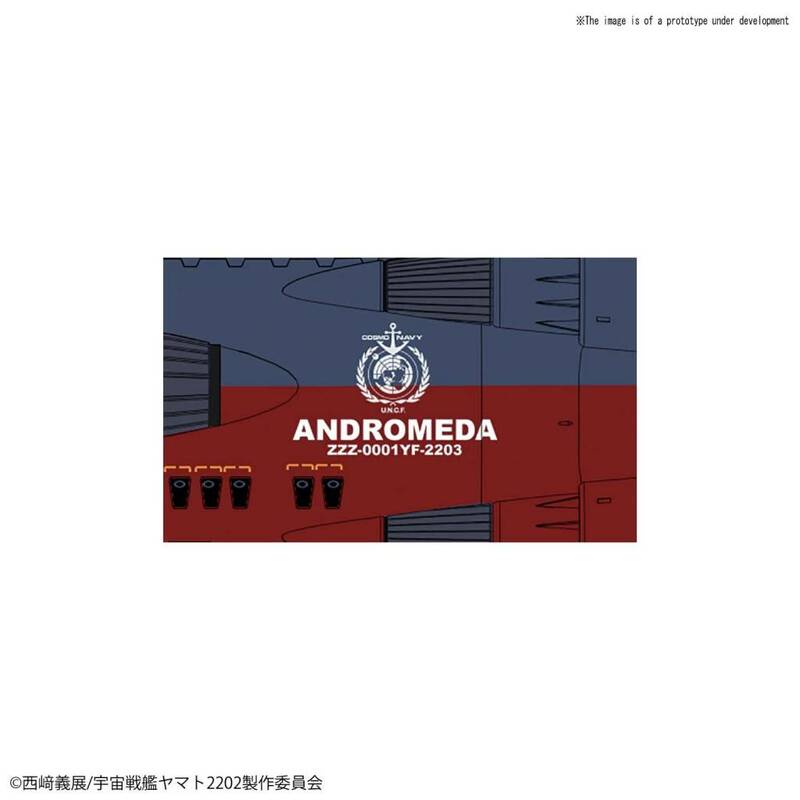 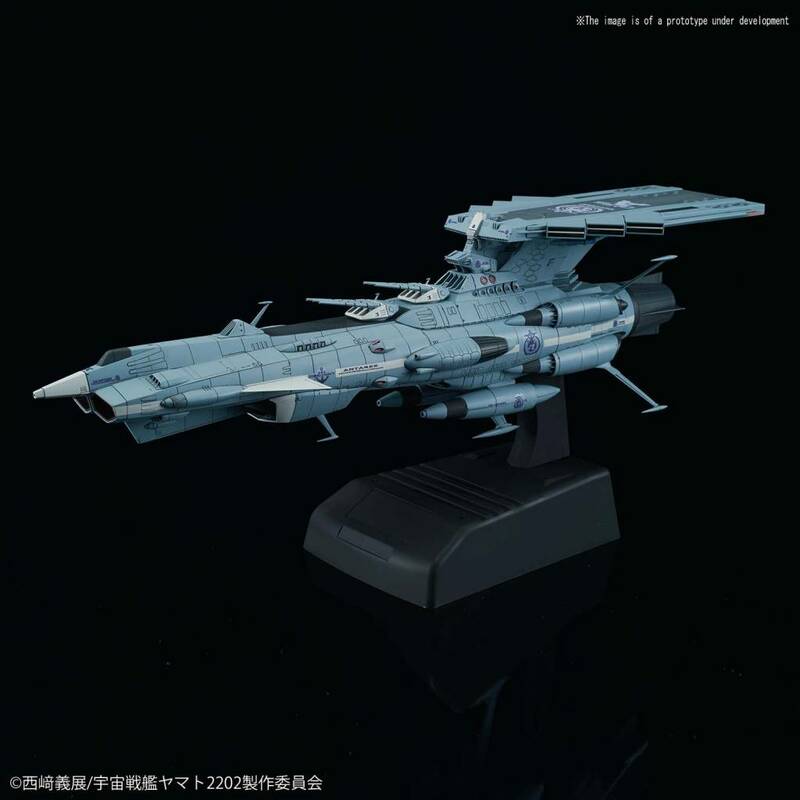 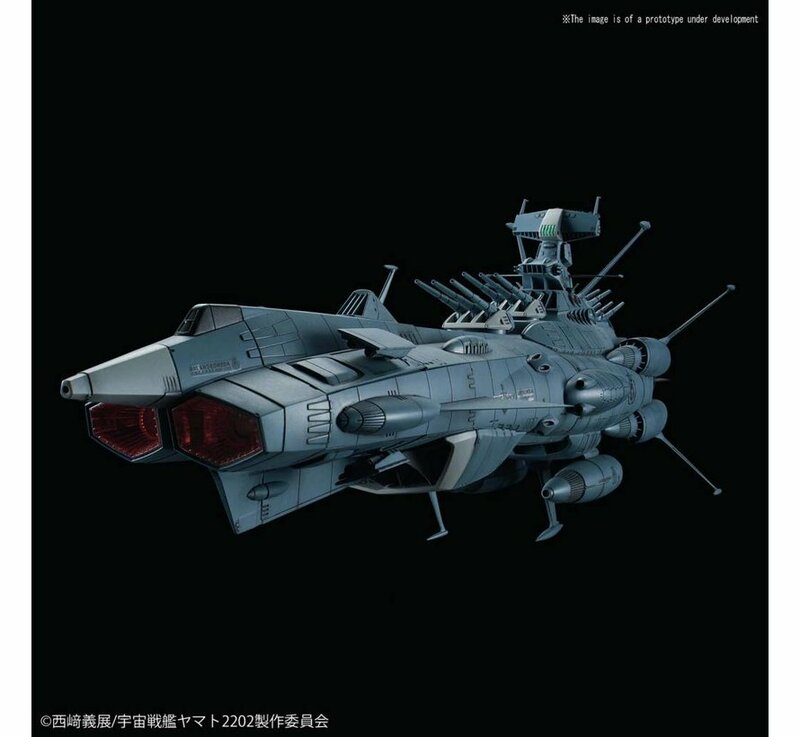 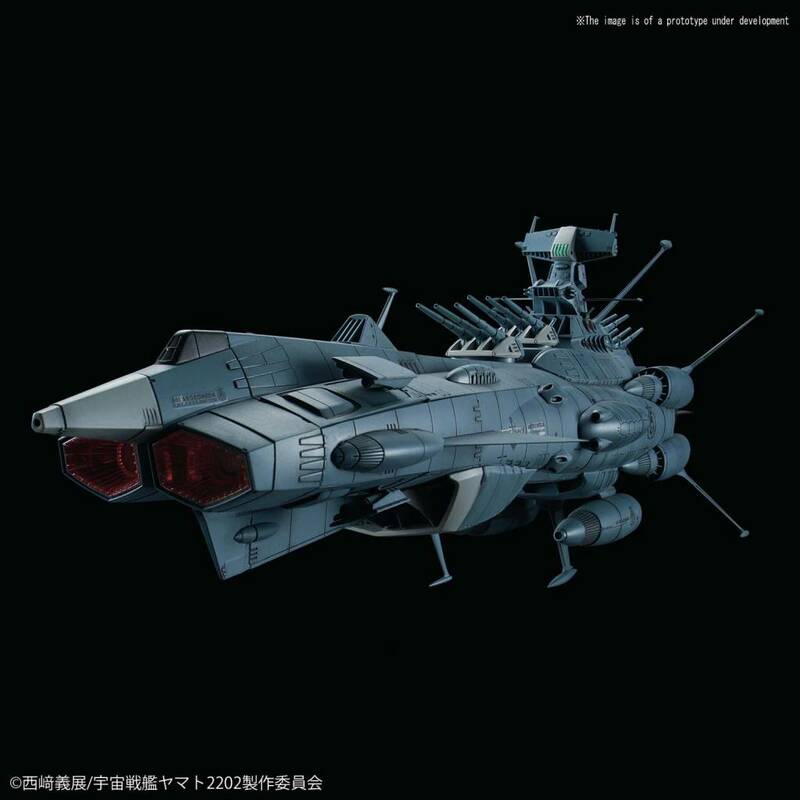 From the series, "Space Battleship Yamato 2202" (Star Blazers) comes the 1/1000 Andromeda class ship product which allows you to build 2 versions of the Andromeda. 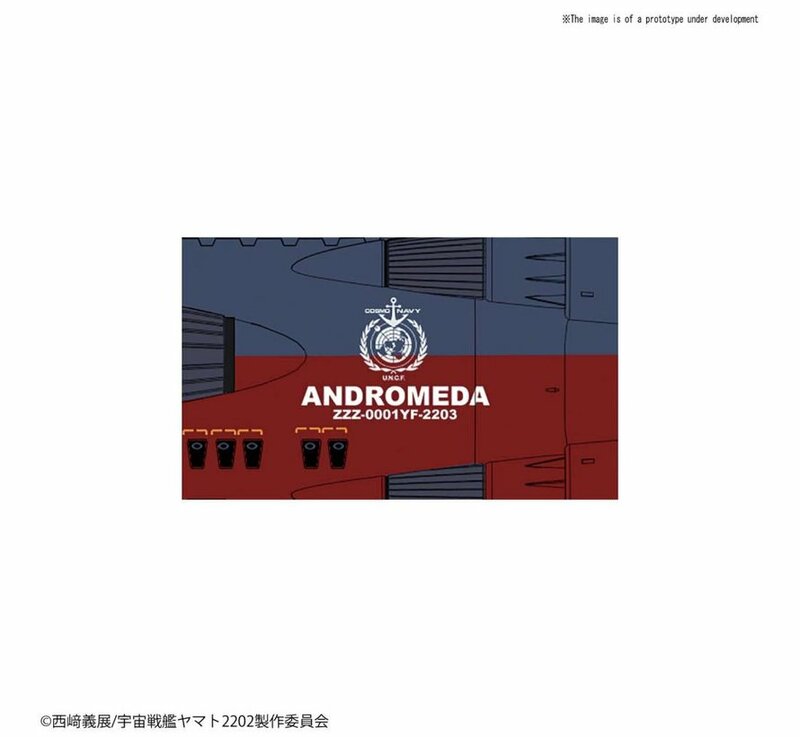 Can choose between the Andromeda and its upgraded parts after being damaged or its sister carrier type ship the Antares. Includes Quadruple-mount Wave Motion Gun parts, 2 Cosmo Falcons, 4 Cosmo Tigers, and display stand. Runner x 19, stickers, water slides, instruction manual.